Times haven’t changed; our dirty laundry is just easier for everyone to see now. I love a well written story. No, I don’t think you understand. I love them like I love pizza. I love them with that kind of love that makes you say things through gritted teeth when you talk. I love the timeless stories. The ones that have been told for thousands of years and still we think about them, put ourselves in the character’s positions and marvel at the plot. A lot of people might be surprised to know that I went to seminary after high school. I’m still not sure why I did it and I only made it through one year because I couldn’t stand being separated from the hot guy I was dating at the time (who just so happens to be the hot guy I’m married to now.) So, it’s probably safe to assume I didn’t do a lot of studying the scriptures that year. I did, however, do my fair share before that. In fact, I’d read the Bible front to back nearly three times. So I was surprised when I ran across a story I didn’t remember this morning while reading, surprised because it was one of those talk-through-gritted-teeth, love-you-like-I-love-pizza type of stories and I’m not sure how I forgot it. We, the humans of today, think we’ve corned the market on drama but when I read stories like the one I read this morning, I realize times haven’t changed, our dirty laundry is just easier for everyone to see. The story I read sees your Facebook drama and raises you a love saga between harlot and Hosea, between God and Israel. The story goes like this: God is ticked. He feels cheated on. He’s gone out of his way to show his love for Israel, rescuing them from slavery a few times and going to battle for them and what-not and they sort of forget all that and decide that it looks like more fun to worship the idols of the surrounding nations. He wants his good friend Hosea to sympathize so he’s like, you want to know how I feel? Go out and get yourself an adulterous woman. Better yet, go find an adulterous woman who’s got a few kids, someone who you know has a real wild side and can’t be tied down to one man and then make her your wife. So the crazy thing is, he actually goes out and does it. And after a while, it’s no surprise when he finds that she’s been cheating on him. But the thing is he loves her…like really loves her. He pleads with her to stay. At the same time, God and Israel are going back and forth too. The chapter headers are kind of funny to read because it’s like, Israel is Punished. Israel Repents. Israel Restored. Judgement against Israel. God’s Love for Israel. And at the same time, Hosea and his wife are having their own relationship drama. He forgives her and takes her back but she just keeps stepping out on him and everyone in town knows it. So here he is alone, left with all the kids they had together, rejected and then he hears that she’s been sold into slavery. What does he do? He scrounges up all the shekels he owns and he finds her and he pays for her freedom and brings her home to be his wife. What a love story! This is pre-Titanic, people. This is hard-core love that can still be felt thousands of years later. There are a lot of layers to be peeled back in this story and multiple messages buried within the layers aside from the heart-twisting saga on the surface. That’s good writing. Maybe someday I’ll master that. My synopsis doesn’t do the story justice. And I’m still not sure how I missed it the first few times around but I recommend reading it for yourself. Let me know what you think of the story. Happy reading. I’ve always thought of myself as a type B. I’m not a sports fanatic like my husband who somehow turns everything into in a competition. i.e. Who can make the best smoked chicken? Who can peel an orange without breaking the rind? Who can make it home from work the fastest? Even a ballgame is no fun for him to watch unless we’ve put a wager for a back rub on it. Nope, I’m the girl who wants everyone to get a trophy. I cheat for the other guy in card games so he doesn’t feel bad about losing. My face doesn’t turn beet-red if my team isn’t winning. 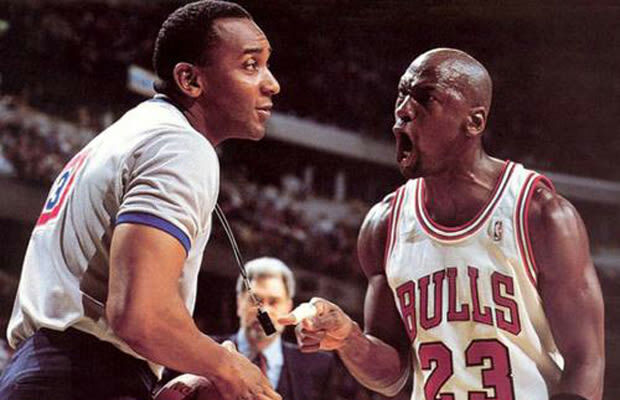 I don’t shake my fist at the ref when the call is idiotic. 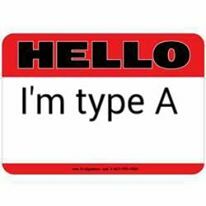 So, I’m not type A, right? But what I hadn’t thought of was how competitive I am with myself, especially as a writer. Or how I tell everyone else to enjoy the process of writing while they wait for their big moment but I maintain a vicious inner drill sergeant toward my own expectations. I don’t pit myself against other writers but I do make serious goals for myself that become life altering and massively mourned if not met and epically celebrated if achieved. I’m not status-conscious, however there are certain titles I sweat and bleed to own, namely PUBLISHED AUTHOR. There is, however, one thing I’ll admit to being and that’s achievement-addicted. Finishing a manuscript is my bungee jump, getting a full request is my sky diving. One source described a type A as someone who works late hours to get things accomplished. But that’s just because I have a day job in addition to writing books…isn’t it? And someone who rushes around, seemingly never having enough time in the day to get things done. But I only do that because I’m an introvert who’s uncomfortable with too much eye contact…right? The list goes on. Type A behavior can lead to stress because these people try to do everything themselves and eventually become overloaded. They aren’t always the best team players and rarely delegate work to others. They can sometimes seem non-empathetic because they hold everything in which can lead to a whole other psychological and physical ball of wax. ALL RIGHT! ALL RIGHT I GET IT ALREADY! Where do I go for my label? • Are you pressed for time at and after work? • Do you always take work home with you? • Do you eat rapidly? • Do you have a strong need to excel? • Do you have trouble finding time to get your hair cut/styled? • Do you feel or act impatient when you have to wait in line? • Do you get irritated easily? • Are you bossy and domineering? • When you were younger was your temper fiery and difficult to control? If the answer to most of these is yes for you, here’s a positive to dwell on: type As are more successful, which means those goals that mean so much to you, that drive you will likely be met. But one thing the Bs have on us As is that they’re better at enjoying the moment. So, while they may have fewer successes, they truly cherish the one’s they achieve. I’ve seen this with so many of my accomplished writerly friends who finally make it. They have the trophy. They’ve arrived, yet the fireworks and the parade and the ticker tape I expected to see in their lives gets put on hold as they push for the next target. Another encouraging part of this study by PsychologyToday.com revealed that most people are not 100% A or B but we do lean toward one side or the other. When we see that our A side is taking over, we As just need to make our goal to enjoy the moment because whatever we set our minds to, we eventually achieve.